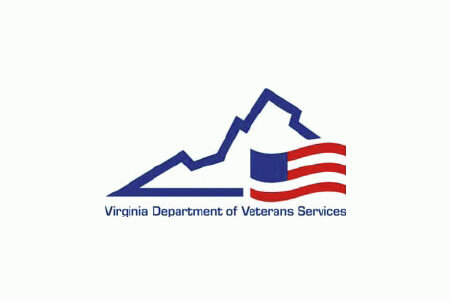 The Virginia Department of Veterans Services (DVS) has launched an investigation following the discovery of 20-30 boxes of files in an abandoned storage unit. The files contain a range of documents including unfiled claims and veterans’ medical records. The storage unit had previously been leased by a former DVS employee who was employed by the agency from January 2012 until August 25, 2015 when she was fired. The employee worked at the veterans’ benefits office at the McGuire Veterans Affairs Medical Center office in Richmond. She had rented the storage unit while employed by DVS; however rental payments for the unit ceased. The unit was then repossessed and the contents were sold at auction. The new owner of the contents of the unit alerted the Dinwiddle County Sherriff’s Office after checking the contents of the boxes and DVS was notified on September 29. DVS officials visited the storage facility and have now removed and secured the files. According to the agency’s director of benefits, Thomas Herthel, the boxes contain “everything from claims to medical records to miscellaneous correspondence,” and date from 2011 to mid-2015. An initial check of the contents of the boxes suggests all of the documents came from the Veterans Services’ benefits office at McGuire VA Medical Center. A handful of claims have already been checked against the VA system and it would appear that a number have not actually been filed. DVS officials are now painstakingly checking the contents of the boxes but the process is likely to take some time to complete. Each document has to be carefully checked and records must then be matched to veterans. Officials will also need to go into the VA system to determine whether veterans’ claims have actually been filed. Herthel told Richmond.com “we don’t know for certain what was actually filed and what wasn’t.” Herthel thinks the process is likely to take up to a month just to find out what information is contained in all the documents. Affected individuals will be notified of the privacy breach once the documents have been checked. Assistance will also be provided to ensure that any unfiled claims are properly filed. So far, there is no indication as to why the employee was keeping the files in the storage unit and why the boxes had been abandoned. The internal investigation is ongoing, although DVS has not yet made contact with the former employee. Virginia Attorney General Mark R. Herring believes the abandonment of the files is a criminal matter and a request has been made to the Virginia State Police to launch a criminal investigation.